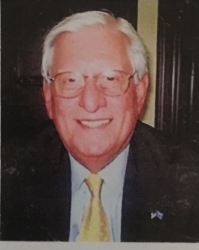 Ronald George Tobin, 77, of Frederick, Maryland passed away Saturday January 12, 2019 after many years of fighting Cancer. He was born April 12, 1941 in Brooklyn, New York to Harold Francis and Marion Ida (Beck) Tobin. Ronald married the love of his life Elsie Culleen Bryant on December 22, 1962 in Norman, Oklahoma. They continued to live in Norman until 1985 when they moved to Rockville, Maryland and then moved to Frederick, Maryland in 2000. Ronald loved his family, working in the garden, sports, politics, and enjoyed building and carpentry work, which always influenced his choice of career paths throughout his life. Ron had many professions in his life including working for the Oklahoma University Hospital & Clinics as Director of Engineering and Facility Services and with Human Services as Acting Director, a Vice-President at Children’s Hospital National Medical Center in D.C. with Facility Management services and chief Operation Officer with Children’s Real Estate Group, HTB Washington LLC, as Principal/Ownership position. He served the Mayor of Frederick as a Facilities Administrator and also with a second term as Executive Assistant, and co-owned with his wife The Frederick, Fudge and Ice Cream store in Frederick. Ronald is survived by his wife of 56 years, Elsie Culleen (Bryant); his children, Scott Andrew Tobin, Kimberly Ann Ward and husband Dave Ward, Steven George Tobin and wife Diane Tobin; his grandchildren, Alexis Tobin, Austin Tobin, Bray Burkholder, Brendon Burkholder, Kayla Ward, Tyler Ward. Graveside Services will begin at 11:00am Saturday January 26, 2019 at Norman IOOF Cemetery. Memorials may be made in memory of Ronald to the Wounded Warrior Project or the charity of your choice. Arrangements for Ronald and his family were placed in the care of Havenbrook Funeral Home of Norman. Online condolences may be shared at www.HavenbrookFuneralHome.com.